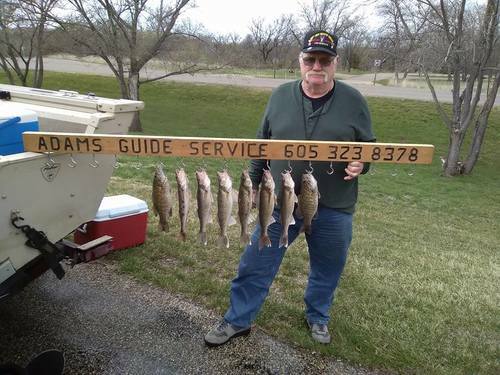 David Adams, Greg Adams, Kenny G, Shawn Arntson, and I filled out on walleye on Lake Sharpe. 15-18 inch walleye in 10-14 ft. Males are milking and females staging. Great day! I want to thank Kenny G and David Adams for supplying boats and making time for this outing, as I'm waiting for my new rig. The bite will only get better. April 14, 2017, our first day on Lake Sharpe with my dad and Kenny G. Was windy and cold. 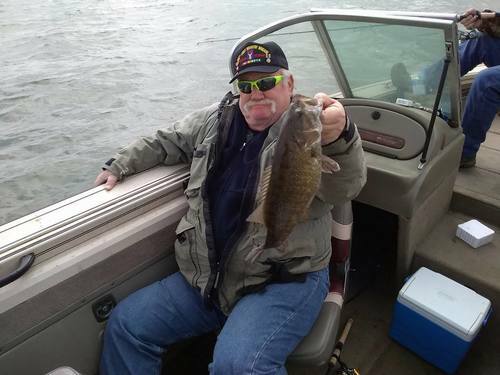 Lost a few keepers at the boat and released a few small mouth bass in the process. 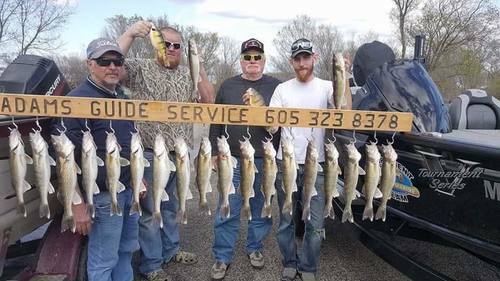 These 15" walleye and sauger were caught in 11' of water with a plain hook and minnow Males have started milking so walleye are slowly moving in shallow. Water temp in Pierre was 42 degrees. West Bend water temp was 49.